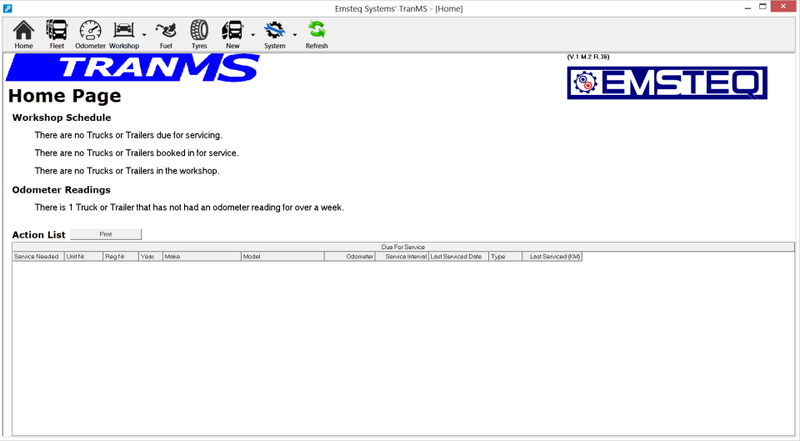 TranMS is a comprehensive fleet maintenance system designed for small to medium trucking companies. The system ensures that every truck and trailer is regularly serviced, every part - no matter how small - is maintained correctly, and that a full service history is kept on every part on every truck and every trailer in the fleet. On top of this, the system tracks the schedule for the workshop, giving management an exact indication of upcoming workload.